Update: Version 12 is now available. Learn more and install it from here. 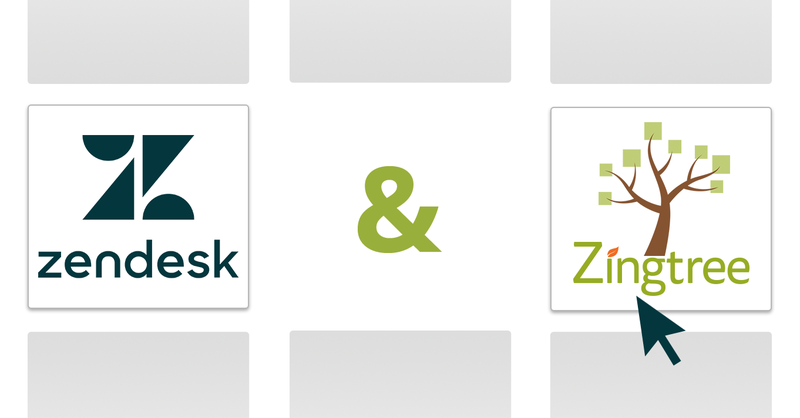 Zendesk continues to surge in popularity, and we’re finding that a lot of our customers are using it, especially for Call Center agent scripts. Over the past weeks, we’ve had a lot of great conversations with our clients using Zendesk, and have come up with a big update to our Agent Scripting solution! Here’s an example of what you’ll see in the right side of Zendesk when opening a ticket. We’ve included Agent Feedback (the orange chat bubble) – now, an agent can send notes to the Authors of the tree from any node – this feedback loop helps authors continually improve the tree scripts. You can now have multiple scripts run from within the app. First, you’ll need to set up Zendesk Brands. When a ticket is opened or the brand changes, the app locates a tree associated with that brand (h/t Dave T). There is no more custom field needed – this was causing an extra “Zingtree Agent Scripting” field to appear in mobile ticket forms (h/t Emanuela). All the latest publishing features are present in the app, including Scoring nodes. In your Zendesk Admin, go to Apps, Manage, and click Upload Private App. Click Choose File, and locate the file you downloaded in step 1. The App Settings screen will appear. Enter the Tree ID of the script you want to appear by default. If you want the tree to display in Panels style, check Display in Panel style. Otherwise, the tree will display in Buttons style. Optional: To take advantage of having the Agent Scripting App choose a tree according to brand, check Open script based upon Brand. 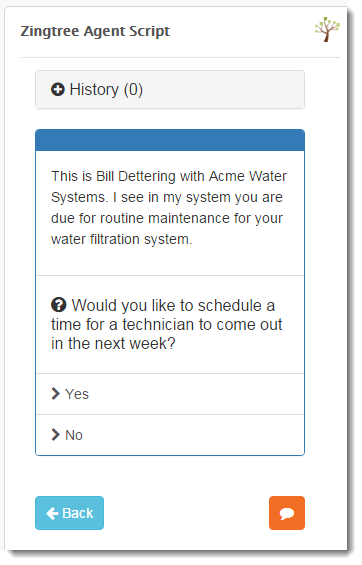 Then, enter your API Key located in Zingtree, under Account, Organizations and Billing at the bottom of the page. In Zendesk Admin, go to Manage Brands, and locate the subdomain of the brand. For example, if the brand is listed as myproduct.zendesk.com, the subdomain is myproduct. 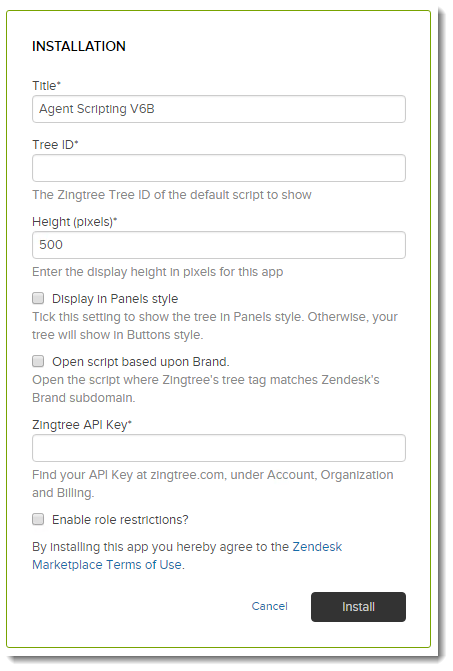 In Zingtree, go to the Settings tool for your tree, and add the Zendesk subdomain as a Tree Tag. Many call center scripts start with something like “Hello, this is ______” . You can automatically insert the name of the agent into your script simply by adding #agent# anywhere you want the agent name to appear. Any questions? Please reach out to us any time!